Carton Sealer is ideal for carton packing used in textile, food, medicines, merchandise, home appliances, chemicals and so on. The Carton Sealing Machines adopts adhesive tape to seal carton, fast and economical and easily adjustable. 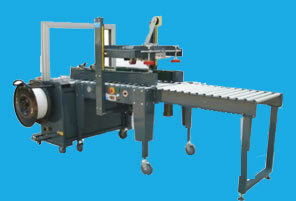 The Automatic Carton Sealer can finish two sides of upper and down part ones a time. Mostly all these sealing is done using carton sealer machines like random carton sealer. 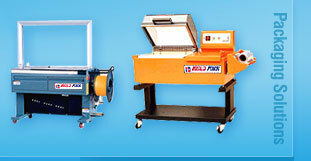 Continuous Band Sealer We present highly advance continuous band sealers. Easy to operate, these continuous band sealer can be used for virtually any application where fast, secure packing sealing is required. 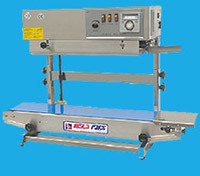 The continuous band sealer is superior in performance and efficiency. Automatic L-Type Sealing Machine, L- Type Sealing Machine are also their services.